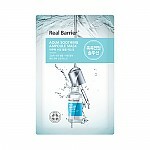 Radiant your Skin Care with the [Real Barrier] Control-T Cleansing Foam 180ml! we aim to provide you best korean products to take good care of your skin, including Cosmetics, Cleanser, Face wash. Hydra Face wash online.
" 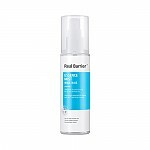 REAL BARRIER CONTROL-T CLEANSING FOAM is a sulfate free, low pH gel type cleanser that helps protect the skin barrier while gently removing the daily build-up of excess oil. An acid balanced cleanser that when pumped onto wet hands forms a rich lather to thoroughly cleanse excess oil and impurities on the face including dead skin cells. It is recommended for skin with large pores and excess oil production and that also has a tendency to break out. A refreshing thorough cleanser that does not leave the skin feeling taut after use. Pump cleanser onto wet hands and rub together to form a rich lather. Gently massage in a circular motion over the entire face. Rinse thoroughly with warm water. Pat dry. Follow with CONTROL-T TONER AND CONTROL-T MOISTURIZER.